This episode is the first of two episodes which are based on Katie’s second text. In this first part we’ll be hearing about an unfortunate event which Katie experienced while she was shopping in Nice. Language points covered include the expression se rendre compte in the perfect tense, whether descendre is an être or avoir verb, and many other points. 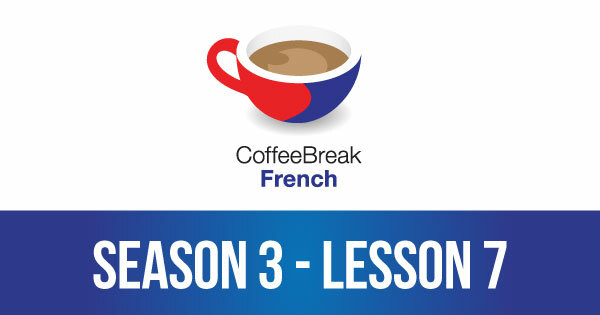 Please note that lesson 07 of Season 3 was originally known as lesson 307 of Coffee Break French. We have renumbered the lessons of each season as lessons 1-40 to make things more simple for our listeners.